Today hunger and suffering among the Danish tax-payers got even worse when the actions of the Drug Enforcement Administration (DEA) made the Danish courts award Camilla Broe a compensation for a full year spent detained in Denmark for bogus charges. 122,440 dollars she was given. It covers only the year she spent in Danish prisons while her extradition case was handled by Danish courts. If she wants to get paid for the time she was wrongfully detained in the United States she has to take her case to court over there which she cannot afford. For those who are unfamiliar with her case, she is a Danish woman who went to live in the United States working as business consultant. One of her clients turned out to be a drug smuggler and she was charged with conspiracy which is not a crime in Denmark and lying to the police which is not a crime in Denmark either. In Denmark which is a small country the authorities know so much about you that they often convict people based on their electronic tracks alone rather than their testimonies. If you work in Denmark, your face are caught on cameras all over the city, your cell phone can be tracked based on the signal it sends to the nearest towers every time the phone get a text message, email or you conduct a conversation on it. So why bother convicting people for lying when you know the truth in advance? It is one of the reasons we have a small prison population and a low crime rate because prisons only make people better criminals. People can be convicted on lying if they end up in court but only then. Fact is that she never should have been extradited because the crimes she was charged with by the authorities in the United States were not crimes in Denmark. The Danish authorities should have seen that, but they didn’t for odd reasons. Most Danes suspect that it was a political order and the responsible politicians have already paid the price because the Danish voters forced the minister of justice to step back as chairman for her party. She was voted out of her job as minister of justice in the last election. 122,400 dollars is a large sum and someone has to pay to secure that Danish children and poor people would not have to pick up the tab. A political movement has been started to ensure that cuts in our aid to the third world would be cut. It was a foreign country who was responsible for the bill. Other foreign countries must pay for that mistake. Camilla Broe was released in Florida. Because she was risking arrest because she entered the United States without the proper travel papers when she was extradited from Denmark to the United States, the Danish department of Justice had to arrange a solution rather quickly. However she was stuck for an unknown period in the airport until she could find a flight home. This post marks the end of this blog following her case. I am aware that an appeal is pending in an appeal court, but we have to wait to find out if they will rule otherwise than the two U.S. judges who have ruled in this case so far. So for now she is exonerated. It was a victory for us Danes as a whole. That’s why I display our flag in my blog. However, it is important that her entire ordeal should have some impact so similar situations can be avoided in the future. We have to remember that there are other victims than just her in person. Her family has suffered a great deal. Her daughter had to live without her mother for larger periods during the 3 years it has taken to react this verdict. Her workplace and her colleagues lost valuable labor. We must learn from this case so the lesson learned is that no Dane should immigrate to a foreign country and expect to be met with better conditions than they have in Denmark. They should always be suspicious against a employer who are offering them a good, wellpaid and legal job. They could be aiding crime. Just the American organisations organizing study abroad programs learned the hard way in the show trial against Amanda Knox, which has shocked the entire nation over there, we as Danes must realize that we need to secure Danes who has chosen to bear the burden of working or studying abroad. We need a fast track evacuation plan so they can be taken home if they become involved in criminal activities by just being an innocent witness. There are no reason for them to aid an alien nation. We have to realize that some countries extend perjury so it can be a crime just to give an incomplete statement to the police at the crime scene where you in Denmark risk prison only if you lie in court. It allows charges like conspiracy where we in Denmark focus on the person who actually does the crime. Young Danes could be caught up in criminal cases just because they want to aid the police forgetting that they are no longer in Denmark and their social status are reset so they are considered a lowlife existense. Better advice must be given to Danes going abroad and an exit-plan should be planned in every case. Fortunately people realize this. Exchange Student Info here in Denmark and Committee for Safety of Foreign Exchange Students (CSFES) have webpages concerning Exchange Students, Center-validering in Denmark has a page about the benefits and costs of shorter language trips. Northwest Education Law Blog in the United States has articles about legal problems. Stay safe – stay home! This friday a Danish woman was deported to Florida based on a charge of conspiracy because she didn’t testify against some of her friends and a violent boyfriend. Our laws allows Danish citizens to be deported to showtrials in various countries only to be returned within 6 months after the sentence to receive the real punishment by a proper court and judge. However there is a small obstacle. The so-called crime that they could be charged with abroad has to be something which could lead to a conviction in Denmark also. There are no law in Denmark about Conspiracy. How the department of justice could allow the extradition demand to go before the courts in Denmark is beyond my imagiation. The news media has been busy naming her as a suspect for a smuggling operation. She should be the drug lord controlling a lot of people – among them her former boyfriend who beat her up. But if that is the case, why demand her on the charge of conspiracy? The Danish population has been angry since it became public that she could risk being send to Florida. So angry in fact that some other people have to be sacrifaced to kill the blood thirst and then it is lucky that we have some moochers among us, who have entered Denmark because rumors speaks of a lot benefits for people if they just cross the border and claim to be refugees. That’s why 22 people were deported this morning. We don’t care if they have lived here for 10 or 15 years. We don’t care if they have children who have lived here all their lives. 5 of them have already been arrested. Some speak of at least 3 or 4 of them dead in the nearest future. But it doesn’t matter. A single mother was removed from our society. We need to tell the world that we as Danes are angry about the political deals made to swap prisoners. When they are executed we can point to the prosecutor in Florida so he can learn the teasing Danes means innocent lives loose. Regaring political deals: What did we get in return for her? Most want to belive in our system, så they don’t demand an explanation about why these 22 persons were deported. But this case shows that we are left without rights. We are concerned – very concerned. 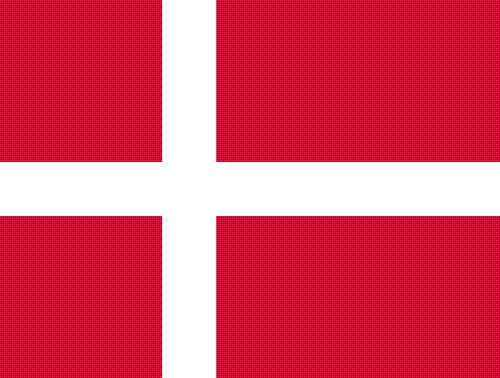 Update September 5, 2009: The new charges are some the Danish courts have not been able to check if they should be within the limits of the extradition agreement, so now Denmark has been cheated for sure.